Foxburrow Vintage: First Treasury - Valentine's Day! 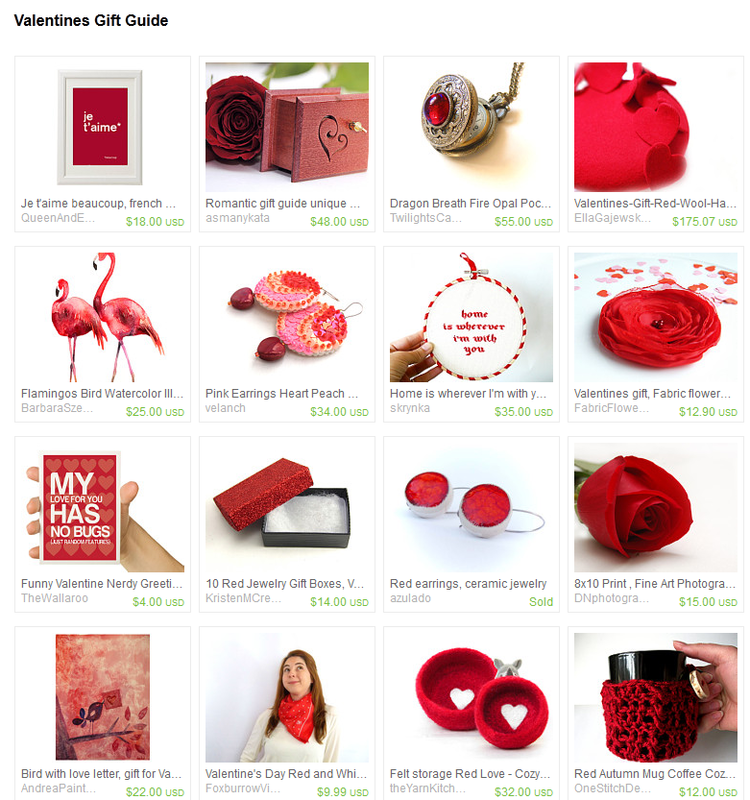 First Treasury - Valentine's Day! Ah, the first treasury feature for the newly launched Foxburrow Vintage - and such a lovely treasury it is! Perfectly themed for the upcoming holiday with bright reds and pretty pinks wrapped up in unique gifts. It's love at first sight! See the treasury here. Here's the cute Hallmark Valentine's Day scarf that was featured. Click here to see it on Etsy. The scarf is a charming way to say YES to Valentine's Day! Little polka-dot style white hearts on a red background, who could resist!? Not I. This is a great treasury and congrats on opening your shop! You have some really special items in your shop and it looks awesome! I will make sure to keep swinging by to stay up to-date on your new content.